There is more to IKEA’s product naming system than non-Swedish-people might think. Swedophones are familiar with the furniture store’s oddly specific conventions, but for most of us, Malm is just a line of bedroom furniture. 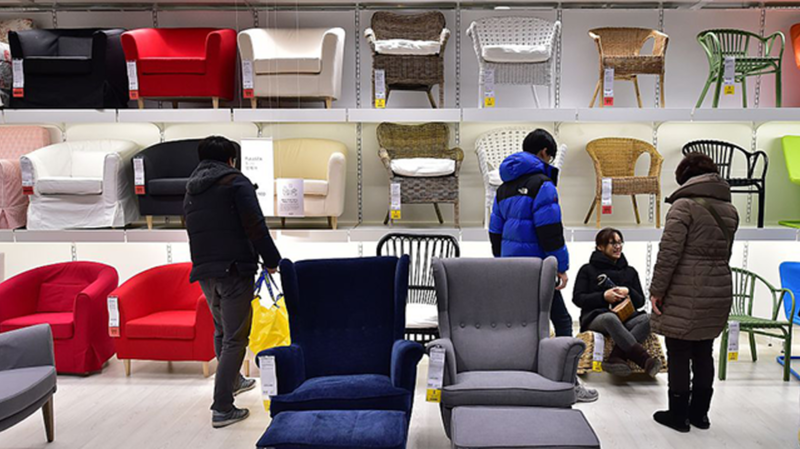 IKEA’s product lines are named according to a set of guidelines that it rarely deviates from, Quartz recently highlighted. IKEA’s founder has dyslexia, and found that nouns helped him remember and visualize products better than using code numbers. He created a series of unusual naming conventions that the company still uses today. A bookcase, for instance, is probably always going to be named after a profession, if it doesn’t have a boy’s name like Billy. Rugs tend to be named after cities in Denmark and Sweden, while outdoor furniture is named after islands in Scandinavia, like Karlsö, an outdoor umbrella named after a tiny island about 150 miles south of Stockholm. Expedit, the beloved, discontinued shelving unit, means “salesclerk,” while its replacement, Kallax, is named after a town in northern Sweden. Curtains are named for mathematical terms. Some of the other products have more descriptive names. Lack, the name of the shiny living room furniture line, means “lacquer.” Bullar, the bakeware line, is a word that means “buns.” Bathroom products are named after rivers and lakes. Sadly, if a Swedish name sounds too much like a dirty word in another language, the product name will be changed in that country. Which is why you can’t buy a bench called Fartfull in an English-speaking country. At least, not anymore.